Sean Glennon Interview on Sport City Chefs talk radio. A season-by-season review of Brady’s career with the New England Patriots. A look at Brady’s accomplishments as a college player with the Michigan Wolverines. A complete rundown of Brady’s various records as a pro. 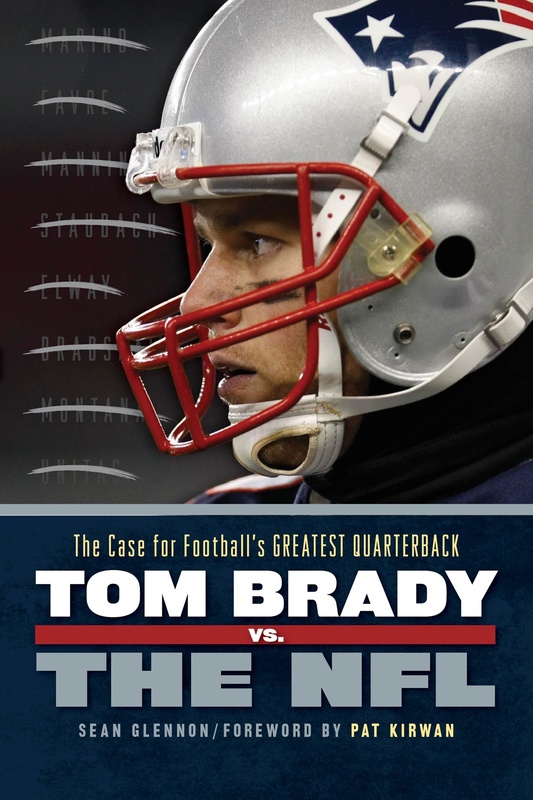 Chapters on 15 of the NFL’s all-time greatest quarterbacks/passers: Sammy Baugh, Sid Luckman, Otto Graham, Johnny Unitas, Bart Starr, Roger Staubach, Terry Bradshaw, Joe Montana, Jim Kelly, John Elway, Dan Marino, Steve Young, Troy Aikman, Brett Favre and Peyton Manning; each paired with a side-by-side career comparison with Brady. Items on some of the top quarterbacks currently playing in the NFL — Aaron Rodgers, Drew Brees, Ben Roethlisberger, and Eli Manning— along with analysis of how each stacks up/may stack up with Brady.